The BMW Group, Linde Material Handling and the fml Institute of Technical University Munich (TUM) yesterday presented the results of their H2IntraDrive project conducted at the BMW Group’s plant in Leipzig. The most important conclusion of the research report is that the jointly developed hydrogen drive for industrial trucks, which has proven its worth in practical use over about two years, is already marketable and under certain conditions provides an economical solution. The Federal Ministry of Transport and Digital Infrastructure has funded the research undertaken by the technological pioneers with a grant of EUR 2.9 million as part of the National Innovation Programme for Hydrogen and Fuel Cell Technology (NIP). In the medium term, the use of fuel cell technology with hydrogen drives is considered to have good chances of replacing some of the conventional energy sources for industrial trucks. 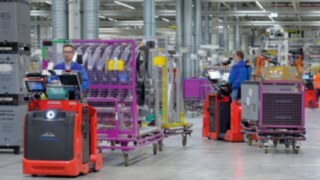 This is also confirmed by an independent survey carried out as part of the research project by the TUM’s Institute for Materials Handling, Material Flow and Logistics (fml) in the summer of 2015. According to this survey, 93% of 109 participating industry experts regard the use of hydrogen drives to be beneficial. At the same time, 80% feel they are insufficiently informed about the opportunities arising from this new technology. 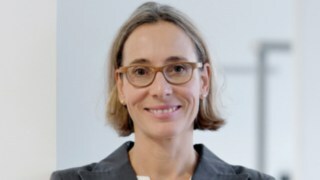 The research report presented in Leipzig can close this knowledge gap. It builds on the “Guide for the use of hydrogen-powered industrial trucks”, which was also created as part of the research project. The documentation of research results shows that the fuel cell drive has delivered convincing results in practical use over a period of almost two years. 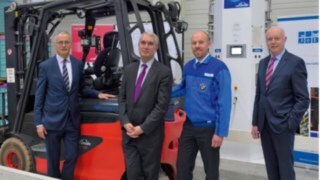 From December 2013 to the end of October 2015, the tow tractors clocked up 10,000 hours of operation, and the forklift trucks even delivered around 11,000 hours. Under certain overall conditions such as highly intensive work in 2-3 shift operation, users are able to achieve significant economic benefits right from day one. For example, the use of hydrogen technology increases the operational availability of industrial trucks. This is because the vehicles can be refuelled within a short time, while the charging, replacement and maintenance of lead-acid batteries reduces the productivity of conventional industrial trucks. Analyses have shown that the refuelling of a tow tractor lasts 1.5 minutes. A battery change can be carried out in about 5 minutes, but it might also take much longer. 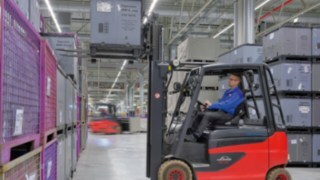 With forklift trucks, the refuelling process lasted 2.2 minutes, while the time needed for a comparable battery replacement was shown to be around 10 minutes on average. In addition, the use of hydrogen technology results in space savings. Lifting devices, ventilation systems, protective trays, emergency showers and other facilities required for the handling of lead-acid batteries are no longer necessary in the logistics centre. For the project in Leipzig, Linde MH had converted six tow tractors and five forklift trucks of type Linde E25 HL and Linde E35 HL to hydrogen drive technology, and continuously developed and adapted fuel cell hybrid technology over the course of the project. In this way, for example, the “Mean Time between Failures” of the hydrogen-powered vehicles was doubled within one year. “The BMW Group has set high standards for sustainability at its Leipzig site for the production of its innovative i3 and i8 electric cars. 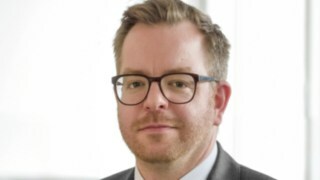 The hydrogen drives in intralogistics are making a significant contribution in this context, among other things due to the use of regionally procured green hydrogen,” said Dr. Michael Ströbel, Senior Manager Steering and Logistics CFRP Production and Purchasing at BMW. During the project period, the industrial trucks were used to supply parts to the BMW i car-body production area at the Leipzig site. There, the industrial trucks took over all the tasks that would normally have been done by conventional battery-powered vehicles. In their report, the TUM researchers compared the two technologies based on the following parameters: energy efficiency, reliability, durability and environmental and economic sustainability. The scientists ascertained, among other things, the cost of the entire life cycle of the trucks, and carried out near-practice calculations for a fleet of 50 vehicles. 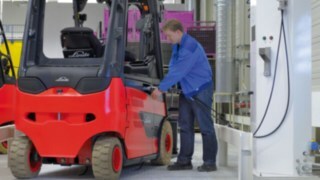 Compared to the conventional electric vehicles, the cruise range of the hydrogen-powered tow tractors was above the standard, while the operating range of the forklift trucks was lower. A larger tank volume and higher tank pressure will further increase this range in the future. The efficiency of the fuel cell system is, according to the research report, still slightly lower than that of the classic lead-acid battery. In total, however, the hydrogen drive wins over with its high operational availability, the resulting lower staff costs and reduced environmental impact when comparing the conventional energy paths.